There are two basic approaches to preparing gluten–free food in your kitchen when your teen must follow a gluten–free diet. Both approaches present different challenges, but allow for your teen to safely eat gluten–free. Some families choose to make their kitchen completely gluten–free. This approach requires you to throw out all gluten containing foods and sanitize or purchase new cupboards, cooking equipment, and utensils. Other families choose to keep gluten containing products in their kitchen while adhering to safe food storage, preparation, and cooking practices for their gluten–free teen. If you’re planning on keeping foods with gluten in your kitchen make sure you minimize the risk of gluten cross–contamination. The best way to help your child stay gluten-free when away from home is by planning meals and snacks ahead of time. That may sound challenging, but the following tips can make it easier. Encourage your teen to eat breakfast at home, or pack a gluten–free breakfast to eat at school or on–the–go. Work with your teen, her nutritionist, or school nurse to find gluten–free foods on the school breakfast and lunch menus. Help your teen pack a lunch in an insulated bag to eat at school or on–the–go. Buy gluten–free snacks such as fruit, cheese sticks, trail mix, snack bars, crackers, or nuts that she can eat away from home. If you’re planning to go out to eat at a restaurant with your teen, either choose one that has a gluten–free menu or speak with the restaurant manager to identify gluten–free menu items before ordering. Remember to tell the manager or chef that both the meal and its preparation must be gluten–free. 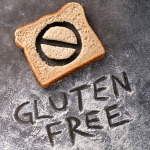 More and more restaurants are gluten–free friendly and making it known on the menu. However, because “gluten-free” in some instances is seen as a trend rather than a medical necessity, it is important to tell the server or manager your level of sensitivity rather than just ordering something labeled gluten-free.